DECOY SITE AIR-RAID SHELTER, Nr DEARHAM. Many people know about the RNAD (Royal Naval Armaments Depot) at Broughton Moor, or "The Dump" as it is known locally. Built in 1938 as a storage and inspection site, it closed in 1995 and is still subject to much controversy regarding its future; Opencast, back-to-nature, or "development". Not as well-known, I suspect, was that one-and-a-half miles to the North- East a decoy site was constructed at the outbreak of WWII to draw enemy bombs from the real ammunition dump. Located just South-West of the A594 Maryport to Cockermouth road at the disused Alice pit, near Dearham, this site was known to locals as "the dummy dump". It consisted of a building similar to the ones at Siddick and Pica where controlled sparks and lighting would simulate the detonation of explosives. 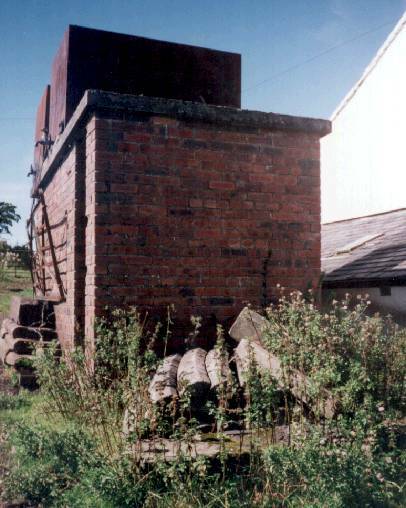 The control buildings and site have long since disappeared following extensive opencast mining of the area, although some buildings remain in surrounding farmyards. 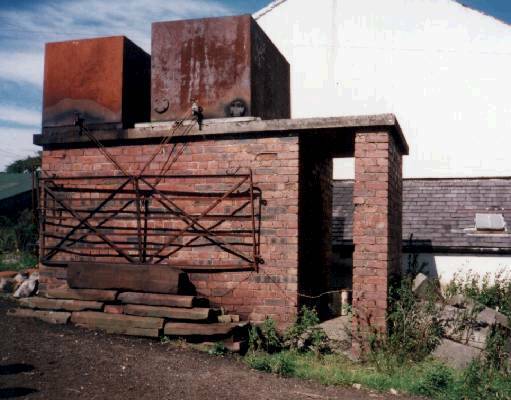 These air-raid shelters were provided by the admiralty when the decoy munitions dump was constructed, and built by Ellis the builders, of Maryport. Naturally enough, it was envisaged that the area would be subject to heavy bombing. It is one of these shelters which is described here. Side view of the shelter, showing the entrance and blast-wall. 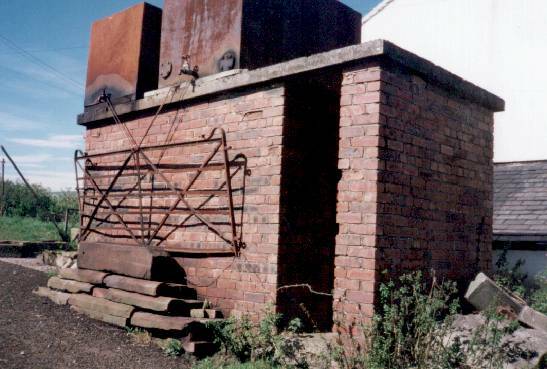 This shelter is used these days to store agricultural sundries and to support the farm diesel tanks. The shelter is 13'10" long, 6'10" wide, and 8'7" high, including a 5" concrete roof (external dimensions!). The main access door is 7'5" tall by 2' wide and boasts a 13 inch blast-wall across it. This wall faces South, towards the target area. Of note is the ground-level escape-hatch, 2'2" high and 2' wide, pictured here covered by an old gate. 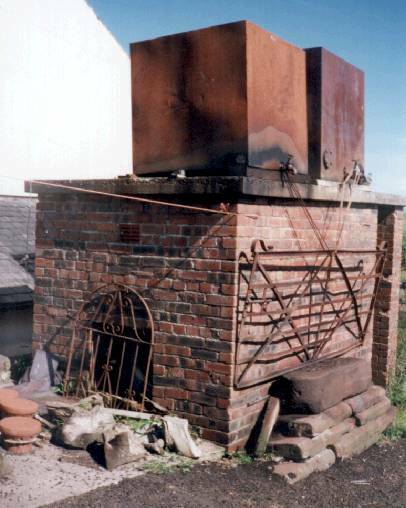 This hatch would have been loosely bricked-up to provide egress from the shelter should the other end have become obstructed. Intrestingly, a permanent road-barrier and machine-gun emplacement was - according to information obtained through the county archives - located on the main A594 road a few yards from this farm. There is no evidence of this now, however, and the farmer does not remember anything about it.